After returning from a weekend away in San Francisco, I experienced first hand the effects of a drought. Not only did this affect every human in the surrounding areas, it became a devastating situation for our green friends. The level of severity has become such that, depending on the geographical area you reside, the guidelines become more specific. Drought; a prolonged period of abnormally low rainfall; a shortage of water resulting from this. Now, droughts are a thing of nature, frankly, something we will forever experience. However, most of the time, we are ‘lucky enough’ to be far removed from the heart of its direct effects. There are so many variables when it comes to the exact requirements that each species of tree needs, which can be altered from soil, root span, air temperature etc. It goes without saying that water is important to the life of a tree. 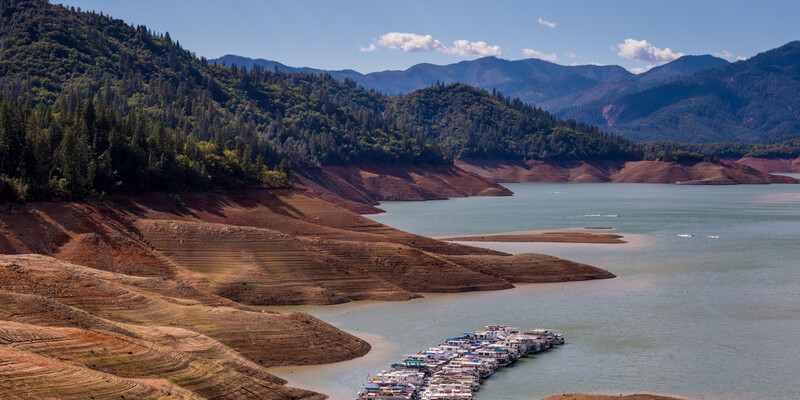 Specimens that have stood tall and strong for decades are stressed and dying because of this drought. 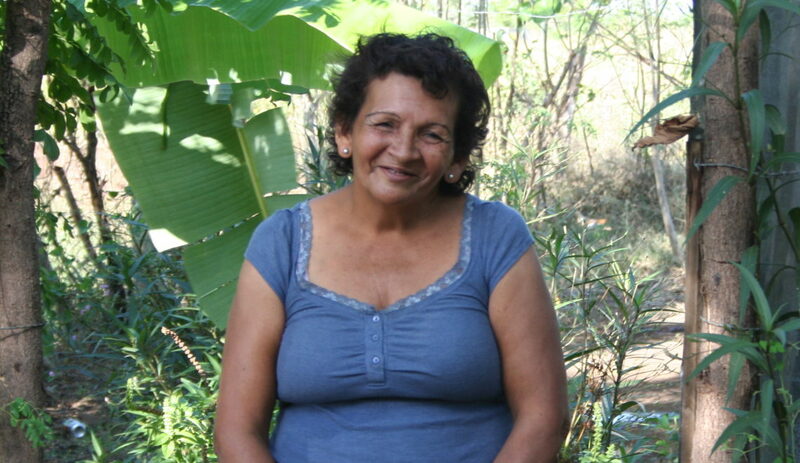 Meet Moringa; the drought warrior. It is, in fact, a drought-tolerant tree, whose leaves are edible but highly nutritious. Why does drought resistance coin this tree as a superhero and one of the most resilient trees on earth? Because it has the ability to still produce nutritious yielding for consumption. For places like California here in America, all the way to the extreme climates of Peru, Moringa will confidently produce. Food deserts; urban areas in which it is difficult to buy affordable or good quality fresh food, may all but become extinct once Moringa is introduced to the equation. The ability to have a jam packed super food that is so versatile (see posts of September that are snack driven) to blow your mind with ideas. It is not just ‘a leaf.’ It is a powerful super food that has the ability to morph into almost anything; a garnish, smoothie, granola bar, ice cream. There is no limit as to the morphing ability of this super food. 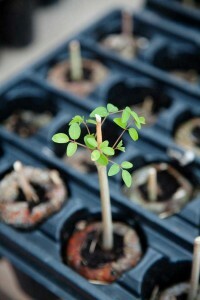 The so called ‘globalization’ of the Moringa tree that is slowing catching on around the world, is quite the phenomena. It takes one small change to put a shift into the global norm. This could be just that. A tree with camel like abilities is some sort of absurdity in deemed logic. 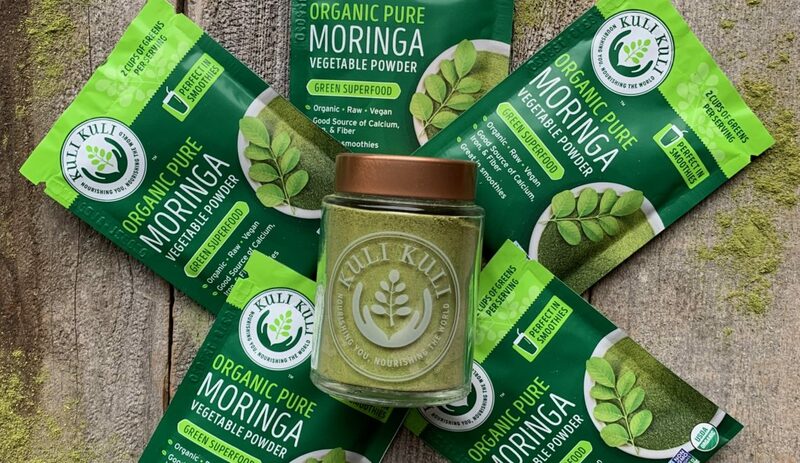 So do yourself a favor and order some of Kuli Kuli’s Moringa powder and dive into the amazing recipes that follow this blog post. Spread the word, and spread the nutrition. Every action counts! !